New cost of living figures reveal the price of a pre-paid mobile phone is nearly 9 times more in Sydney than Los Angeles. Whether it’s surfing the net, grabbing a bite out with friends after work or going to see the latest blockbuster movie, on average Australians are paying some of the highest prices in the world. One of the differences that stood out was the cost of a pre-paid mobile phone tariff. Australians are paying on average nearly four times more for this than the US and nearly three times more than they are in the UK. When comparing the individual cities, LA costs $0.11 per minutes compared to Sydney, which is nearly 9 times more at $1.00 per minute. It’s not only chatting on the phone that’s more expensive. 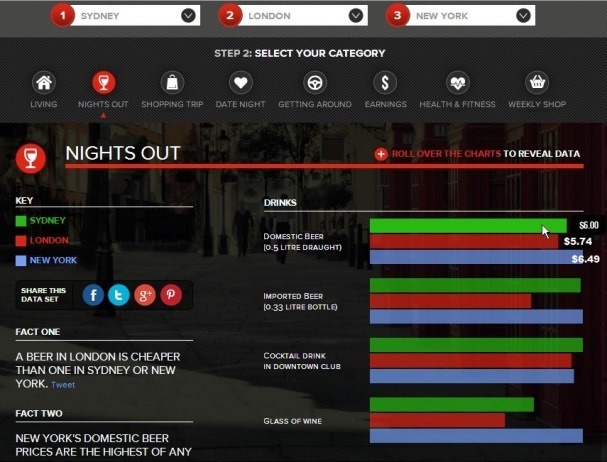 Surfing the net costs considerably more in “Australia than the US and UK”. Regardless of what politicians future plans are for Australia’s NBN the data shows that Aussies are currently paying on average over 80% more than the UK and over 25% more than the US. On a more positive note, the data shows Australians do have the highest median monthly disposable salary after tax. 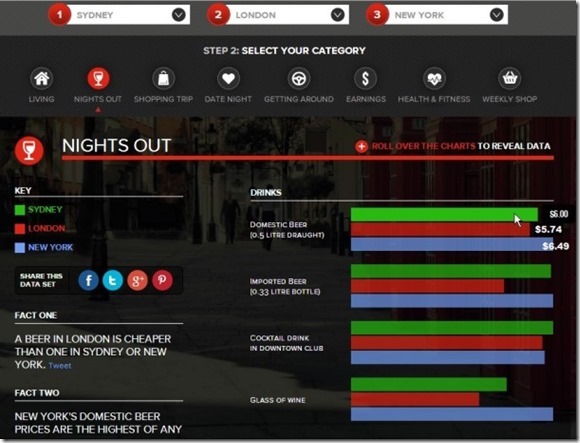 The comparison guide uses data collected primarily from Numbeo, the world’s largest database of user-contributed data, which allows users to compare three cities across a number of key categories including their weekly shop, living and getting around. To find out more about the data and make your own cost comparisons, please click here to try the tool yourself. I am really pleased to glance at this weblog posts which includes plenty of helpful facts, thanks for providing such data.